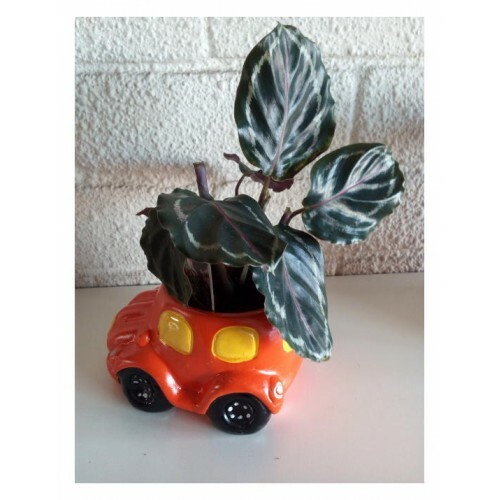 Calathea in a mini pot. Striking, clump-forming or tufting foliage plants with dramatic leaf patterns. Grow indoors in a brightly lit areas, can be used in a terrarium or bottle garden. Prefers rich, moist, well-drained soil in a warm and humid position.